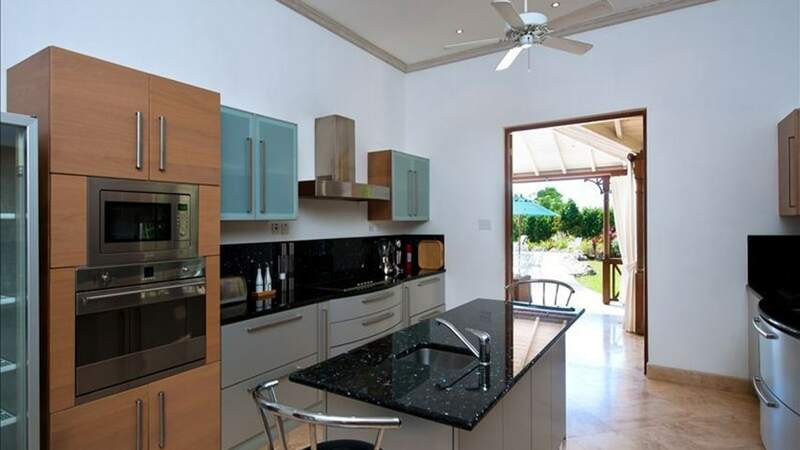 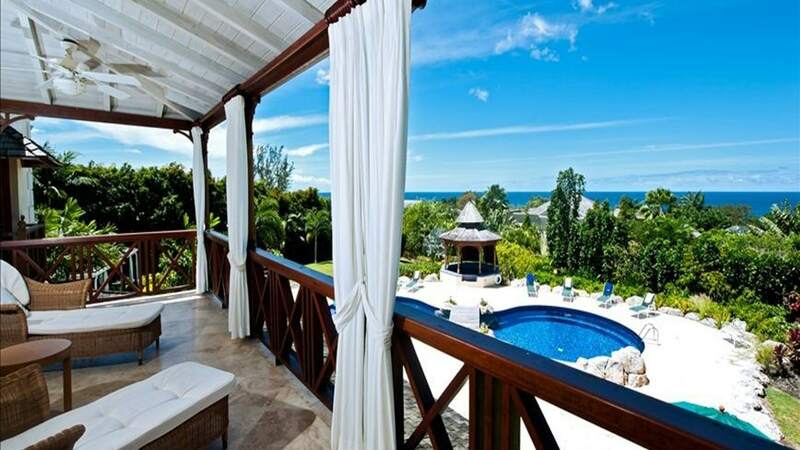 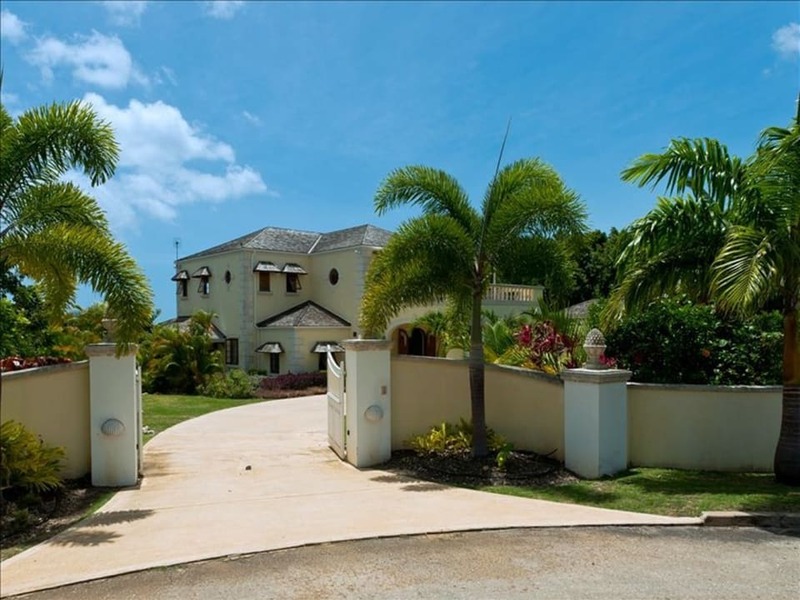 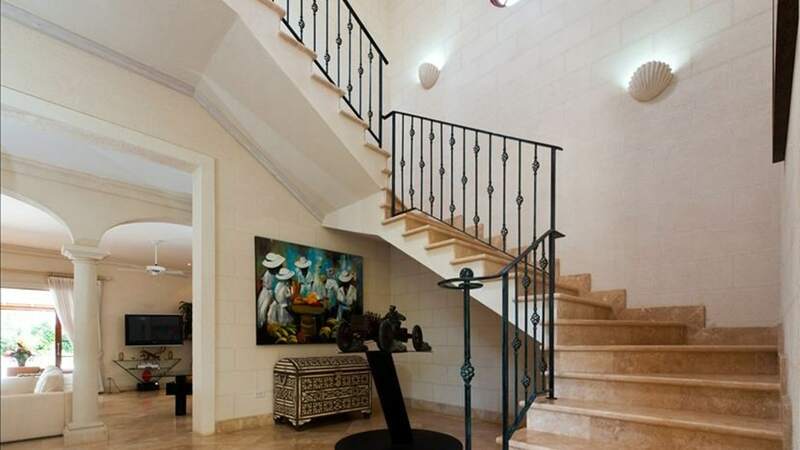 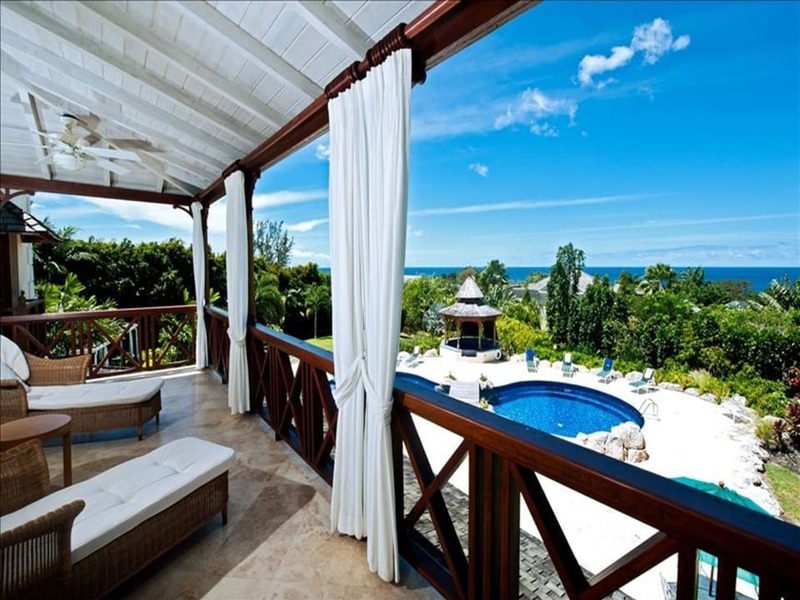 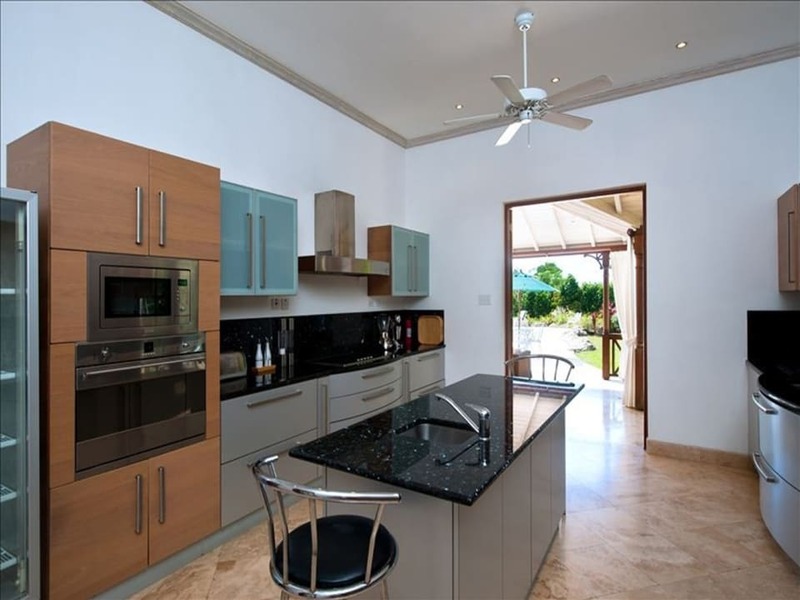 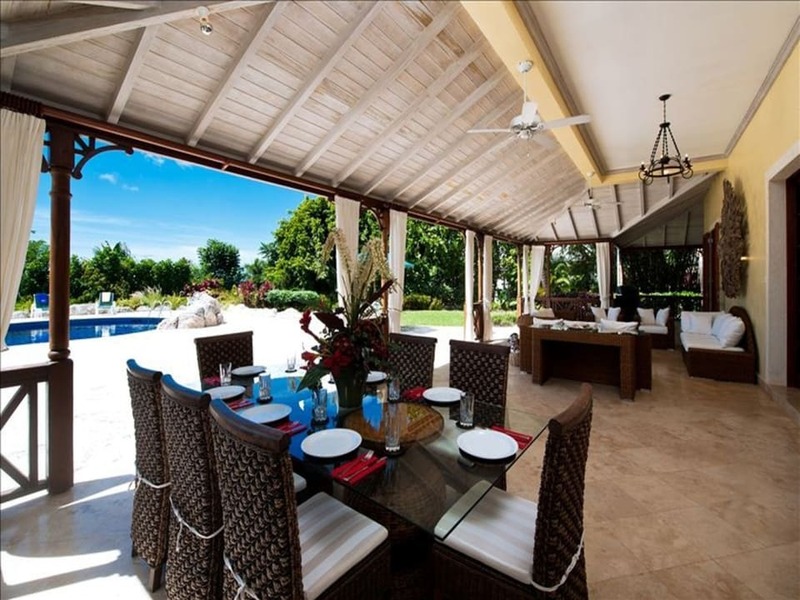 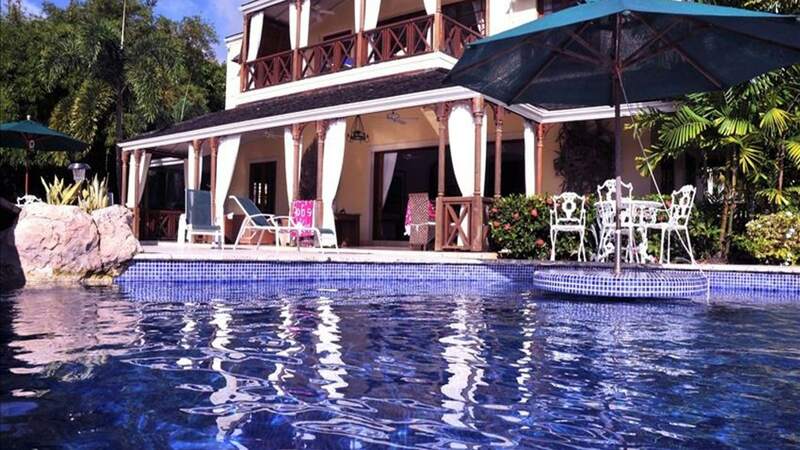 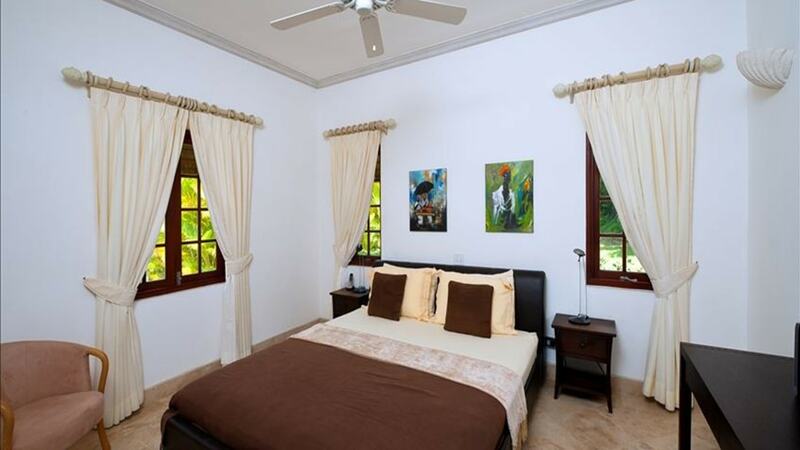 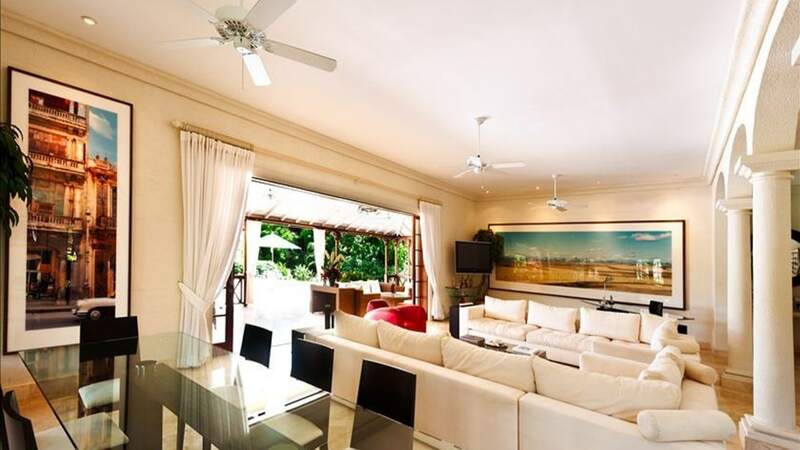 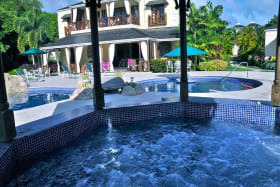 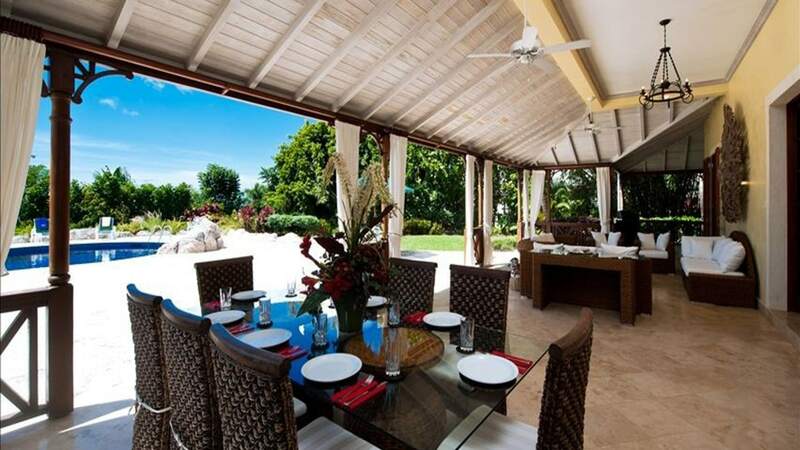 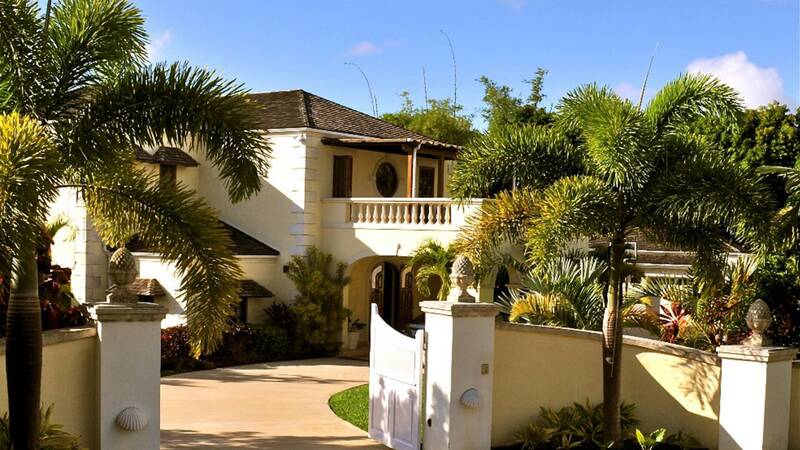 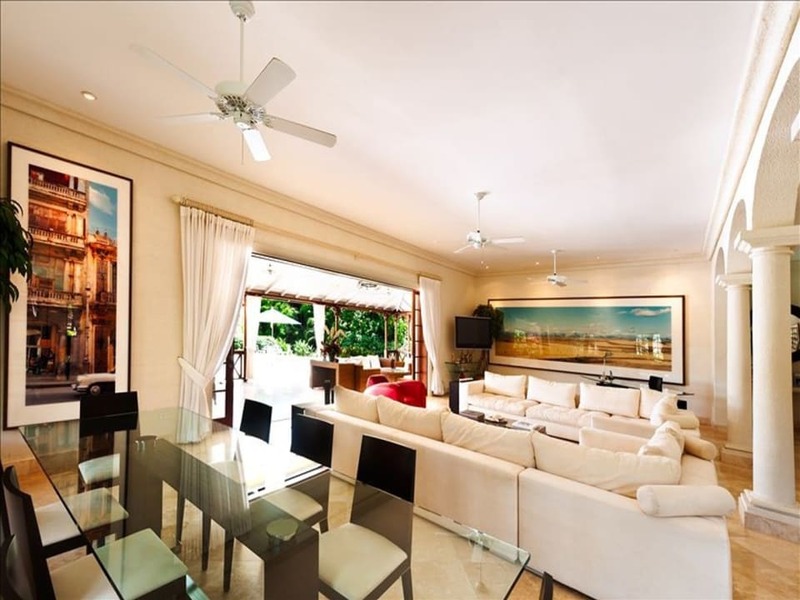 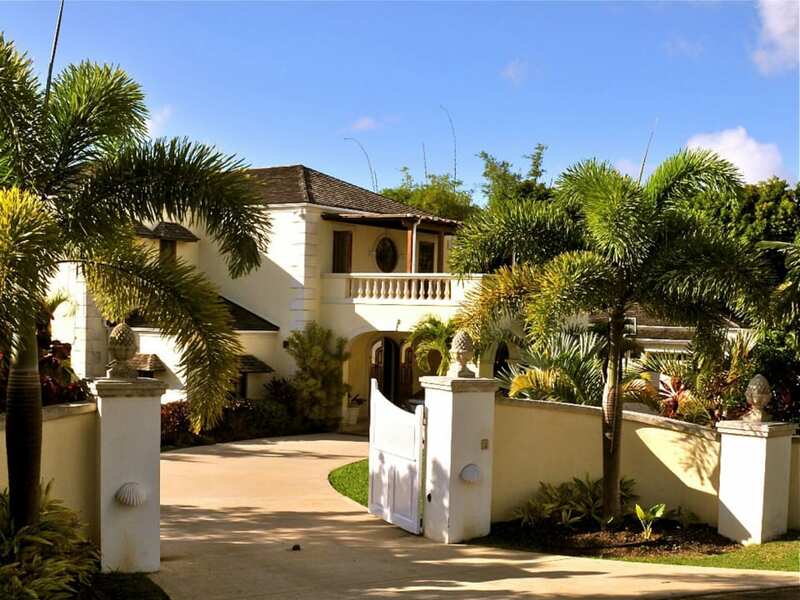 Aurora Lusso is a luxury five bedroom home located within the gated Tennis-community of Sugar Hill, St James. 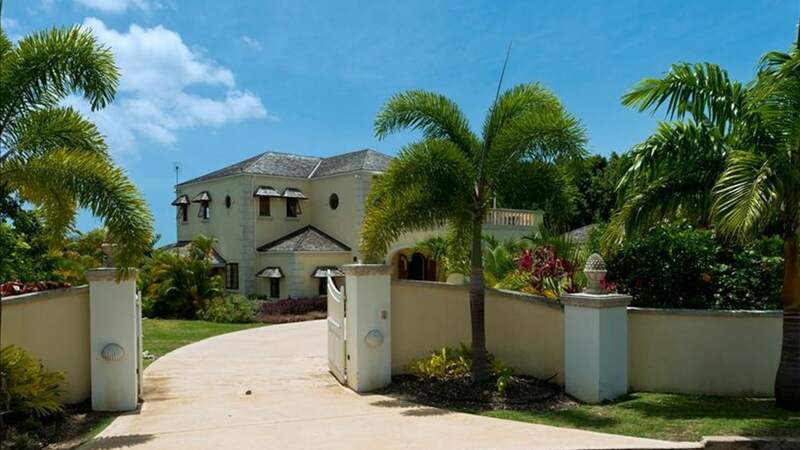 Occupying nearly an acre of well landscaped gardens and offering wonderful sea views, especially from the first floor; this home is beautifully furnished in a contemporary style, complemented by marble floors and elegant high ceilings. 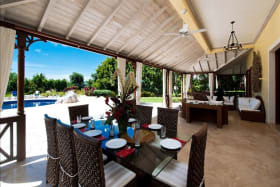 The main house has two stories and features spacious sitting and dining rooms, both indoors as well as on the deep, covered terrace. 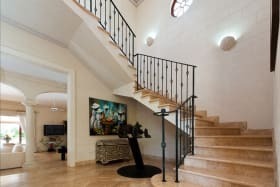 The foyer has an impressive double height ceiling and there are three bedrooms on the first floor, including a large master suite with a spacious, private balcony. 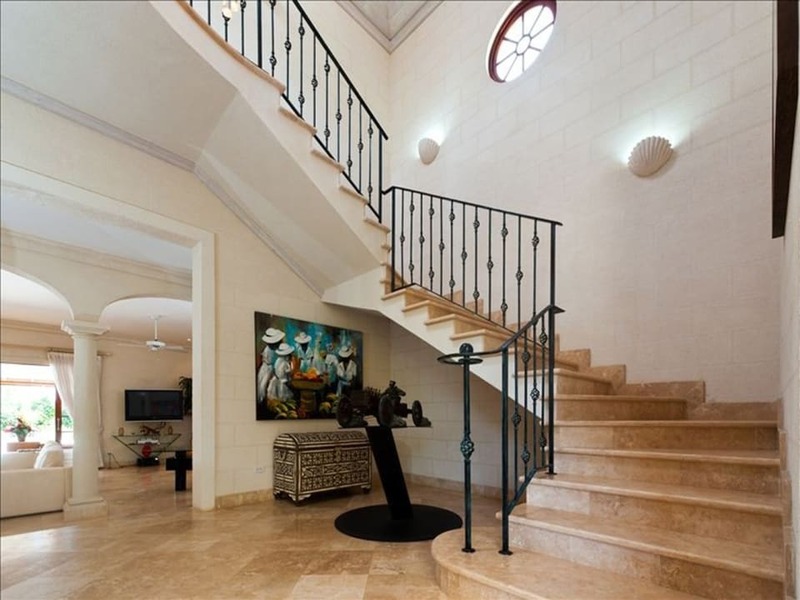 There is also an east facing balcony and sitting area on the first floor. 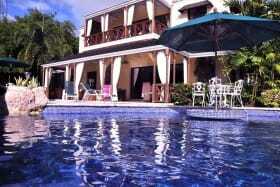 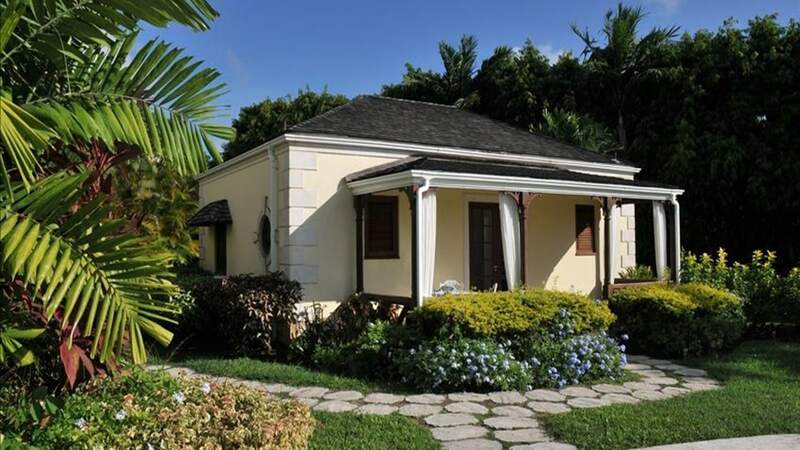 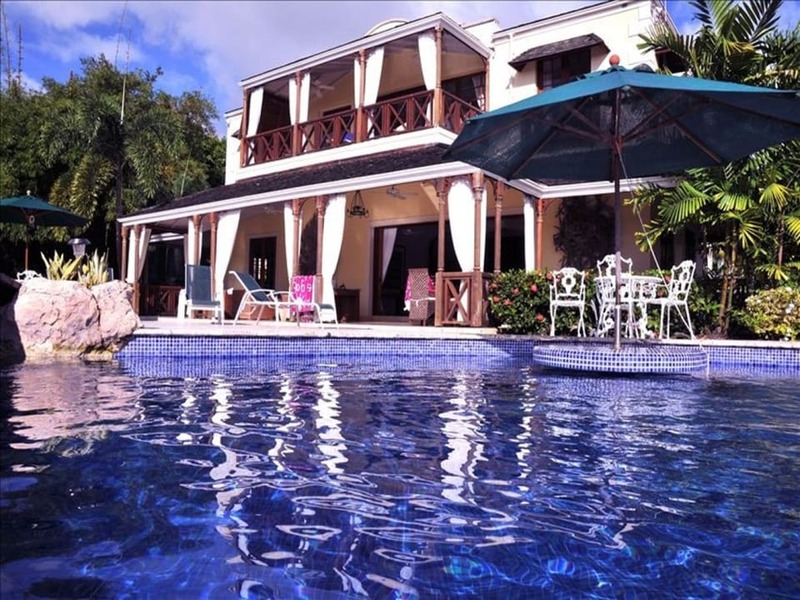 A two bedroom cottage located in the gardens has direct access to the attractive swimming pool and surrounding terrace. 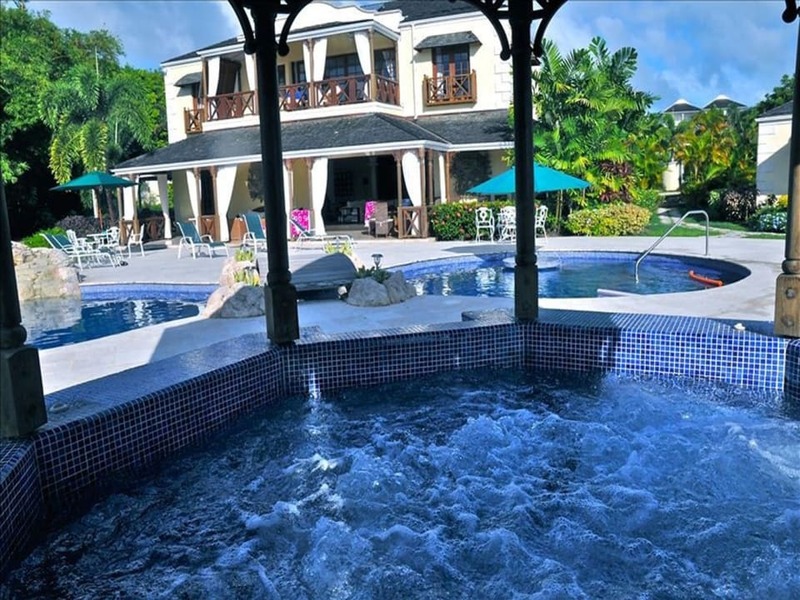 A poolside gazebo accommodates a 12-person Jacuzzi. 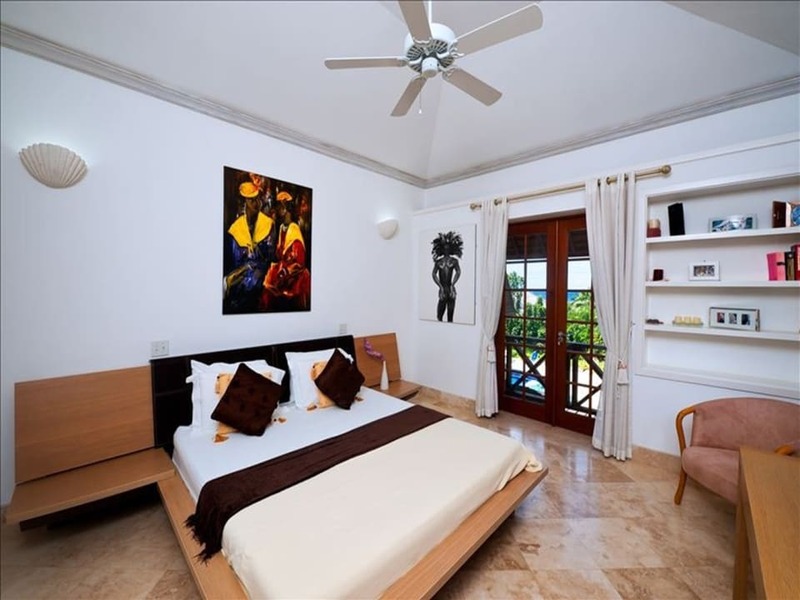 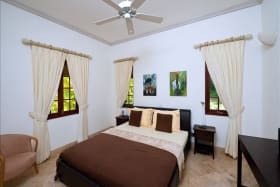 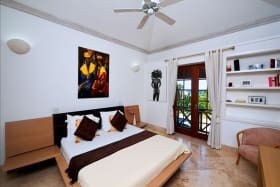 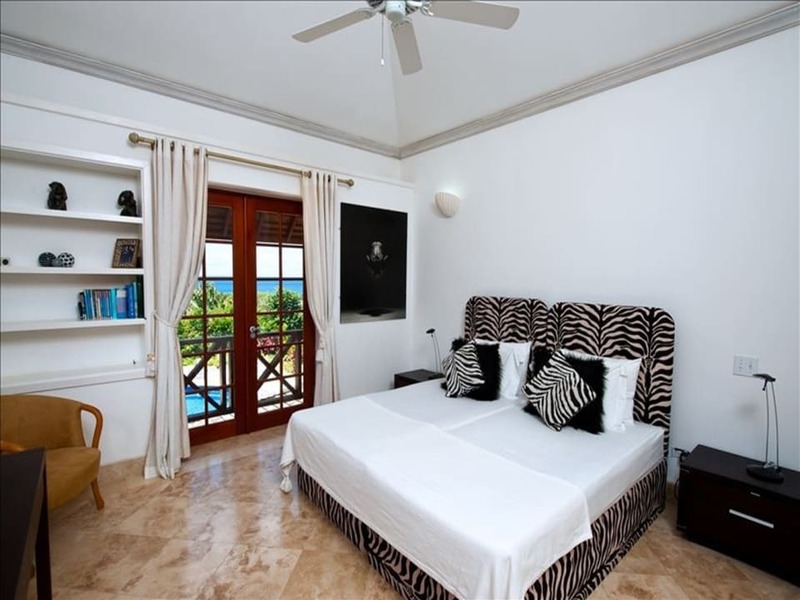 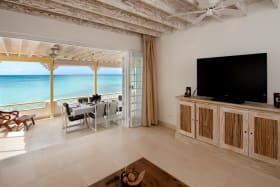 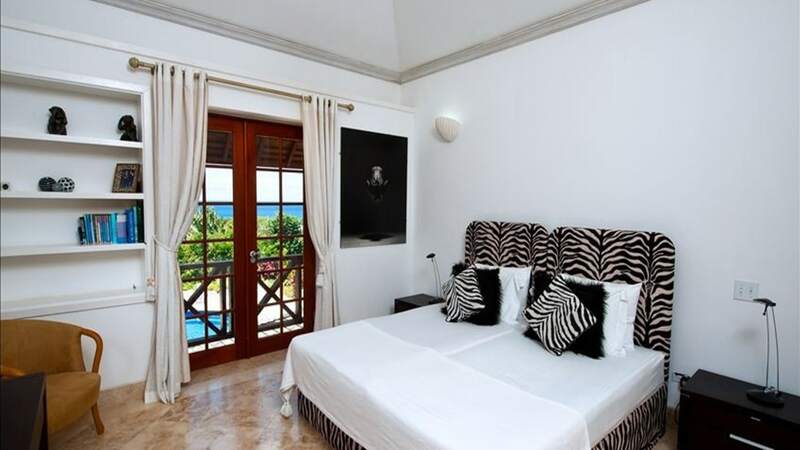 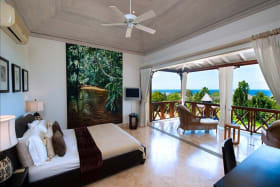 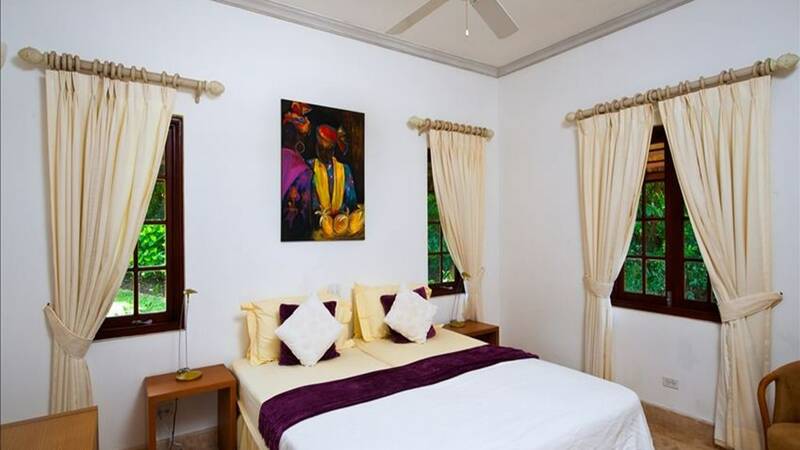 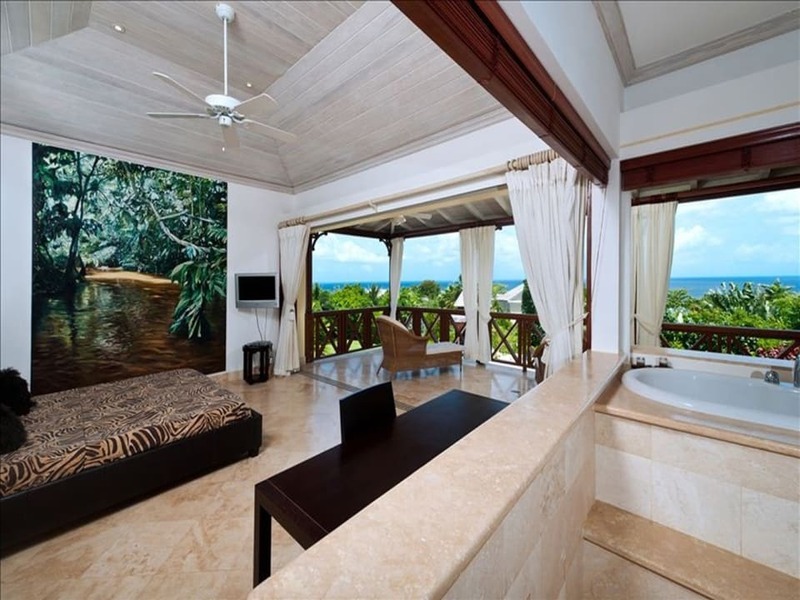 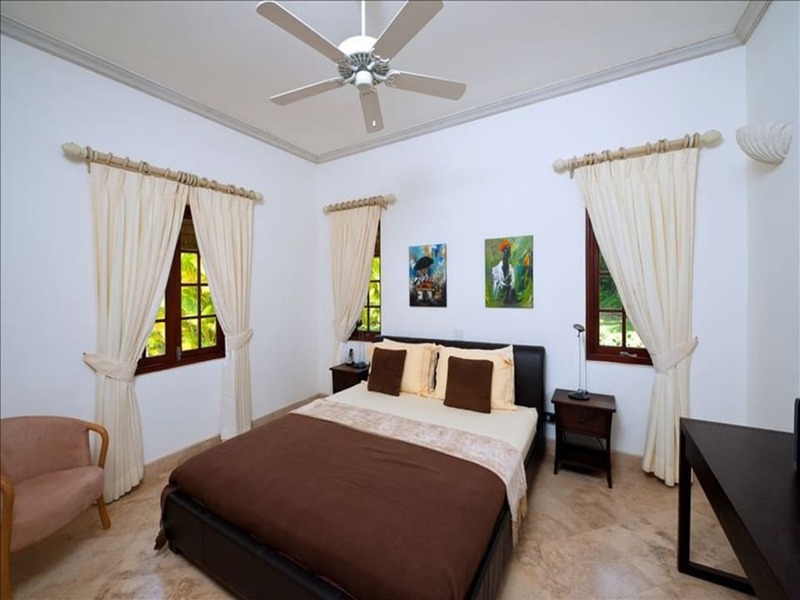 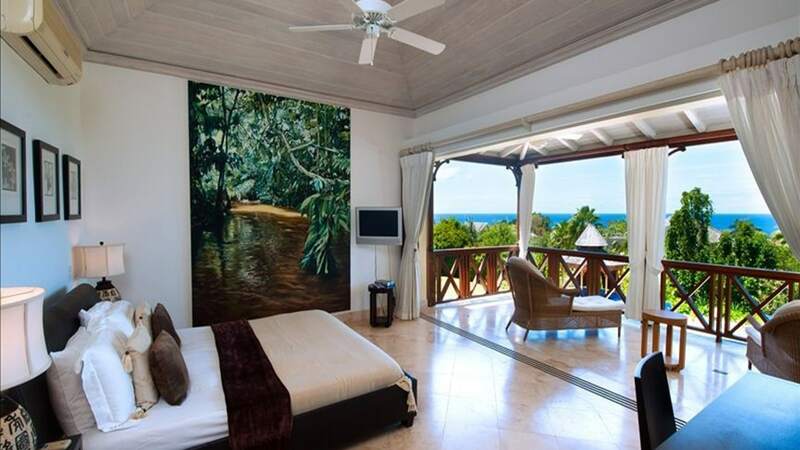 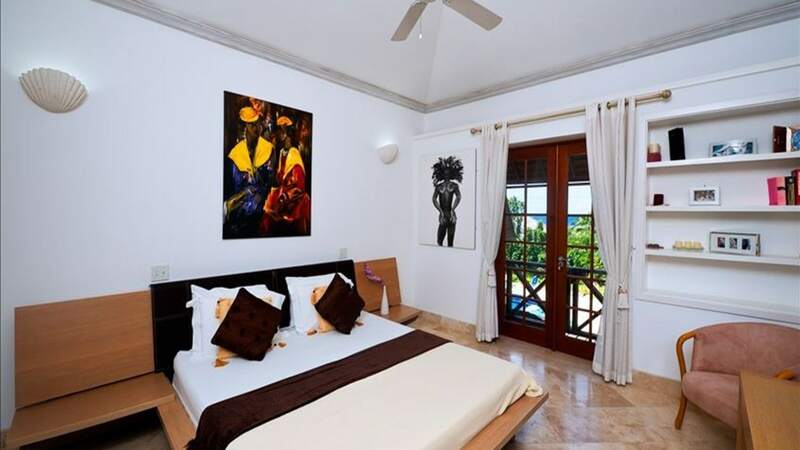 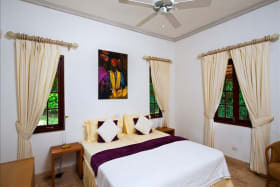 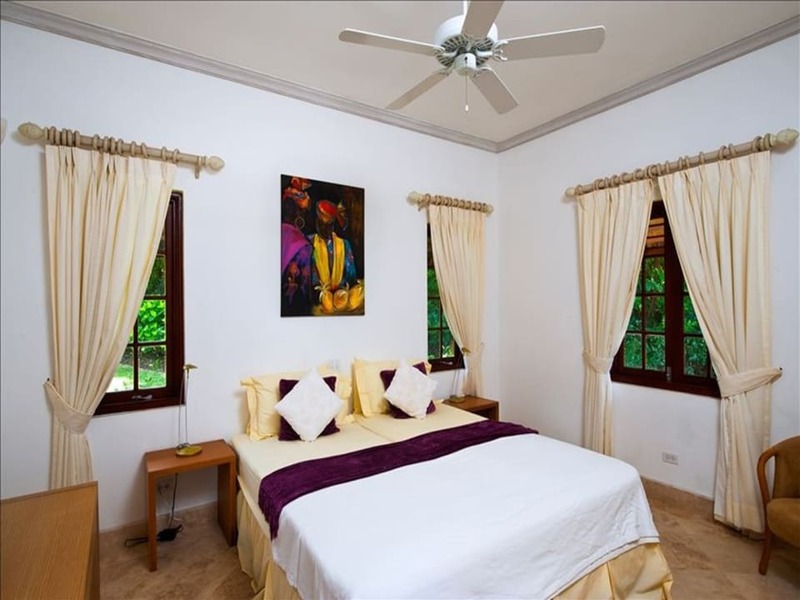 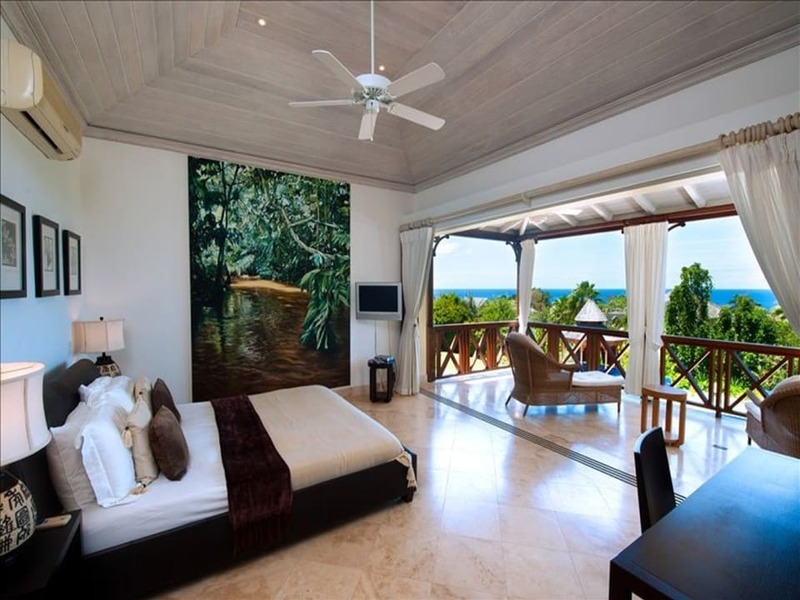 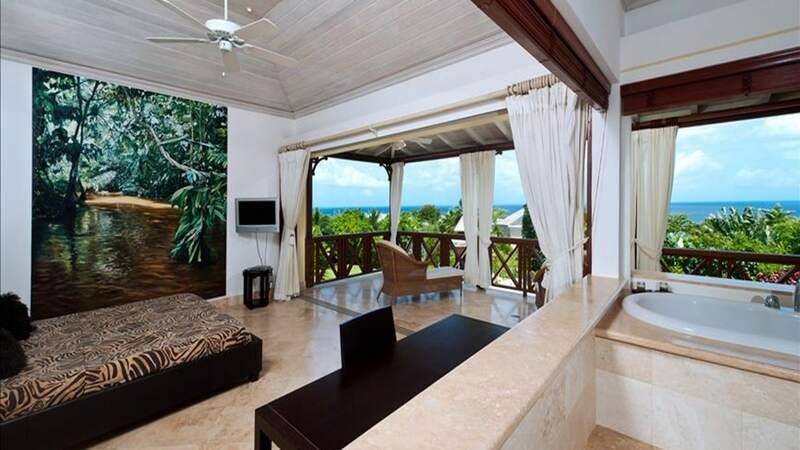 All the bedrooms are air-conditioned and there are ceiling fans throughout the property to circulate the island breezes. 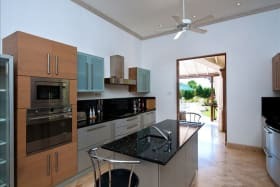 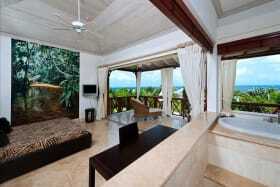 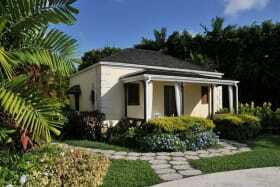 The home has a spacious and well-equipped kitchen, laundry, staff room, double garage and double gated private driveway. 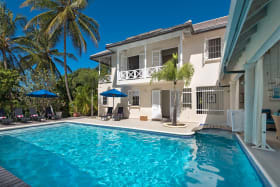 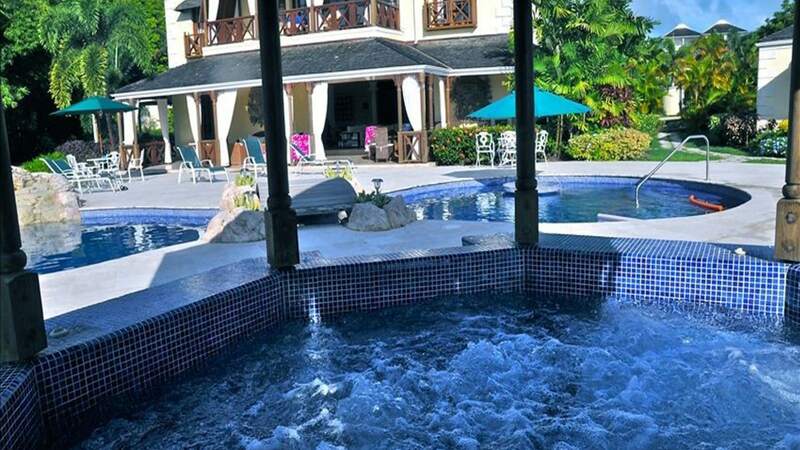 Included at Sugar Hill are 4 flood-lit tennis courts, an air-conditioned gym, two swimming pools, a reception desk and member's lounge, 24-hour security and the well known Carizma on the Hill restaurant. 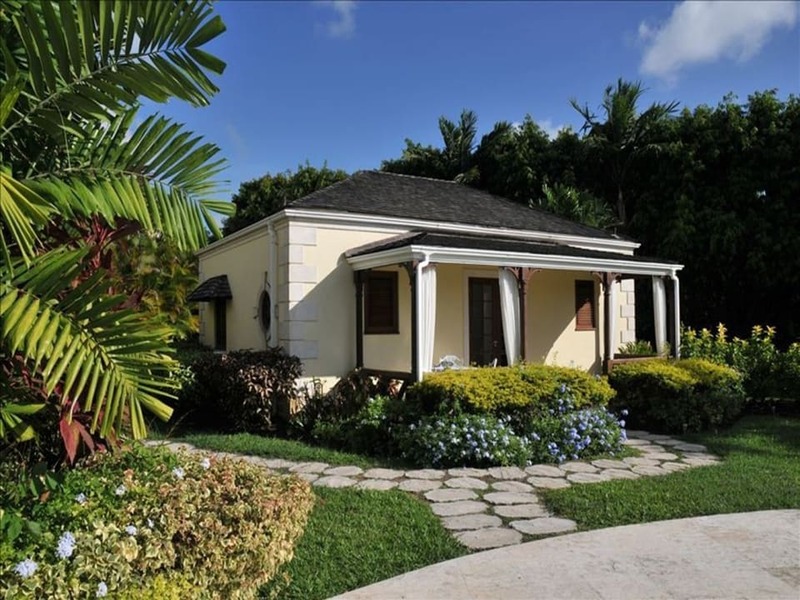 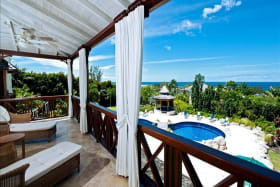 Beautiful beach access with convenient parking is possible at the Beach Club next to the Fairmont Royal Pavilion Hotel where Sugar Hill owners may use the private beach bar and cafe.